When you work or spend leisure time in a forest environment, you’ll soon learn that the right gear can really enhance your performance - and your experience. One of the most fundamental ways to maximise your power as well as keep yourself comfortable and safe is to ensure you’re wearing the right clothing for the job. Cut & Climb is a leading brand of outdoor clothing that is specifically designed for your outdoor arborist and forestry endeavours. Currently, Sorbus are proud to stock both the Cut & Climb Arb Jacket and the Cut & Climb Rain Trousers, both of which combine innovative technology resulting in practical and comfortable garments. Both items are expertly manufactured using state-of-the-art materials. 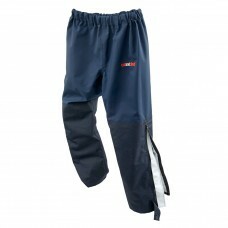 The laminated polyester fabric makes both the trousers and the jacket weather-resistant. 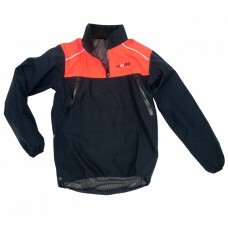 This keeps out the wind, rain and just about any other kind of weather, so you can work in comfort all year round. Another great feature that is unique to Cut & Climb attire is its signature sealing around the seams. This makes the garments 100% waterproof and ensures you have a streamlined silhouette for moving quickly among the trees. The carefully waxed exterior also allows for snag-free movement, which means it is safer and easier to get on with your work. Trousers from Cut & Climb are designed not just to be practical, but also incredibly comfy. There is an elasticated waistband which fits snugly, and there is no need for wearing a belt. The innovative zip and popper systems allow for the garment to be easily taken on and off, and means that you can also put on work boots and other safety gear with ease. When choosing work or outdoor clothes, you should always prioritize quality, comfort and practicality - and, lucky for you, Cut & Climb are experts in all three!